The amazing ‘Poosie Nancy’ Bar comes with full licence, chiller taps, mixologist, micro breweries and distilleries tipples. It has a canvas awning that can be joined onto marquees or teepees to create a connected space with table, benches and fire pit for those late night chats. We pride ourself on our great service with the fendly and experienced staff always willing and ready to please with their mixing and bar skills. 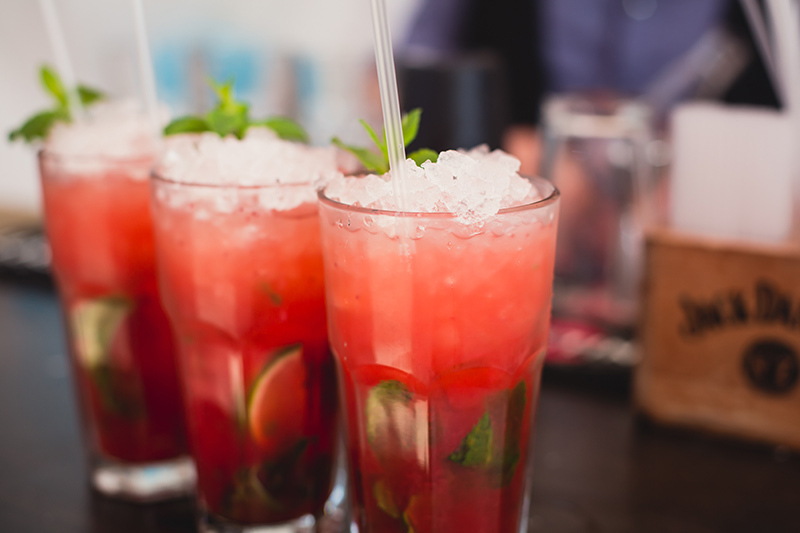 Whether it’s you favourite cocktail or simply a beer or juice, we will be there to put a smile on your guests faces. We cover all events from weddings to intimate parties – so give us a call and we can give you any additional information you require! The Poosie Nancy is also a vintage trailer with one end sporting the gents bar with real ales, gas pumps etc the other with ladies cocktail lounge with your own mixologist. 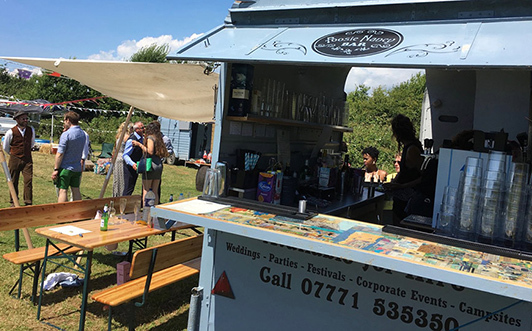 The outside bar space has a bespoke canvas awning with seating and fire pit, that can be attached to the marquee, teepee, stretch tent or raj tent giving you a separate and more personalised space. If you want a personalised bar name you can even chose your own we will have it screen printed and your guests can all sign it at the end of the day for a memorable keep sake. You select from our list of carefully chosen drinks (which can be sourced from your local stomping ground). You either let your guests pay themselves or you put money behind the bar with a limit or even no limit! We have such a wide variety of affordable options it’s really worth talking one to one.